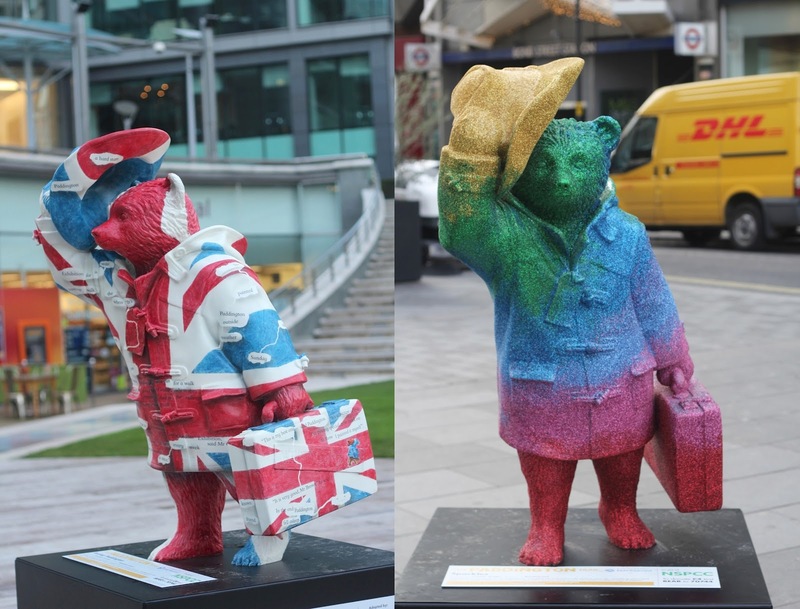 Fifty bears, one city. 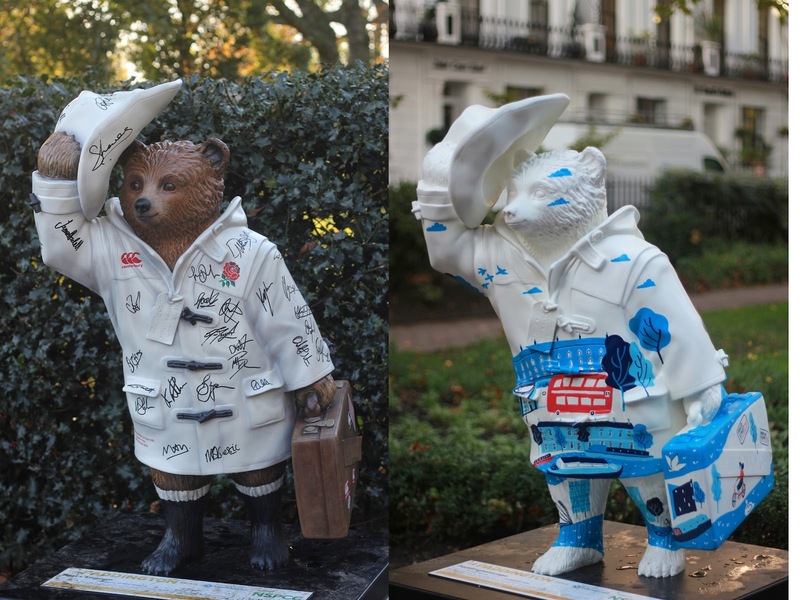 In celebration of the newly-released Paddington movie, a selection of artists, designer, and celebrities have each designed a bear and from the 4th of November, they have been placed around London in the Paddington Trail. 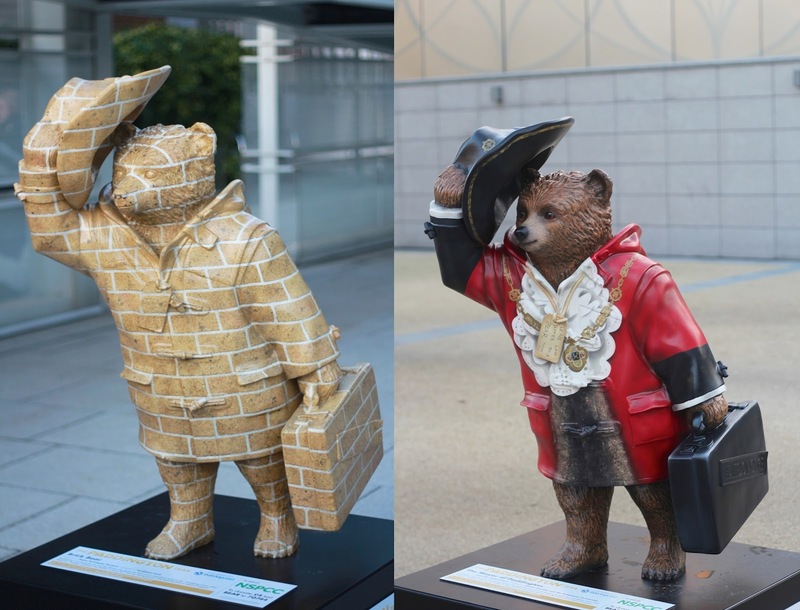 It follows the travelling bear's favourite locations throughout the city, spanning across museums, parks, shops, and key landmarks. 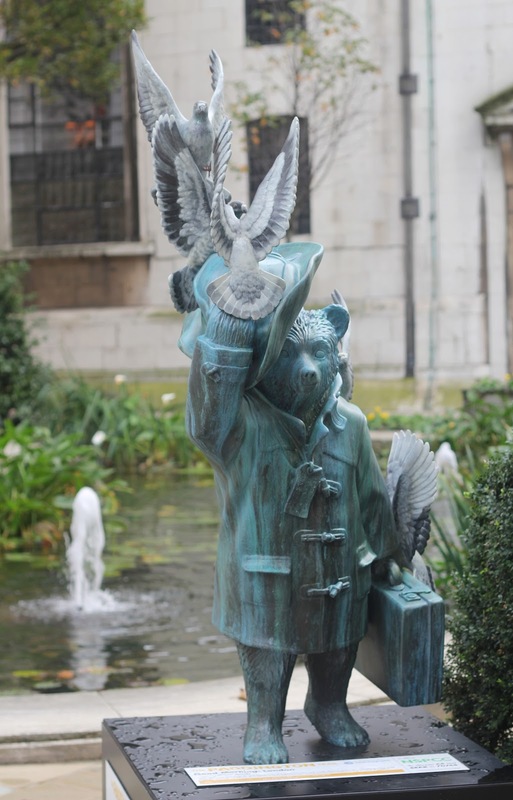 Now I don't consider myself to be particularly well-versed with the geography of London town, despite having lived here for almost two years, I often find myself lost in a previously unexplored area more than your average tourist. Despite this, my friends and I were keen to give the trail a go and see how many of the bears we could find. 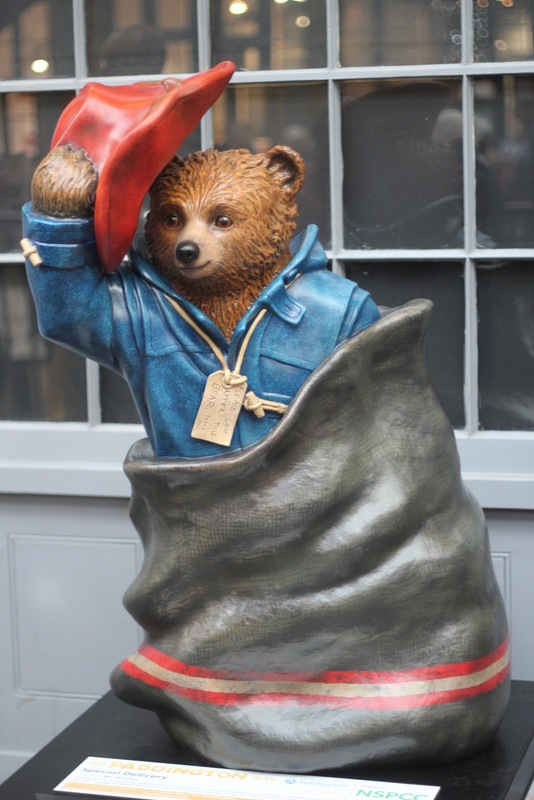 We decided to start at Covent Garden where we spotted our first bear designed by the voice of Paddington himself, actor Ben Whishaw. 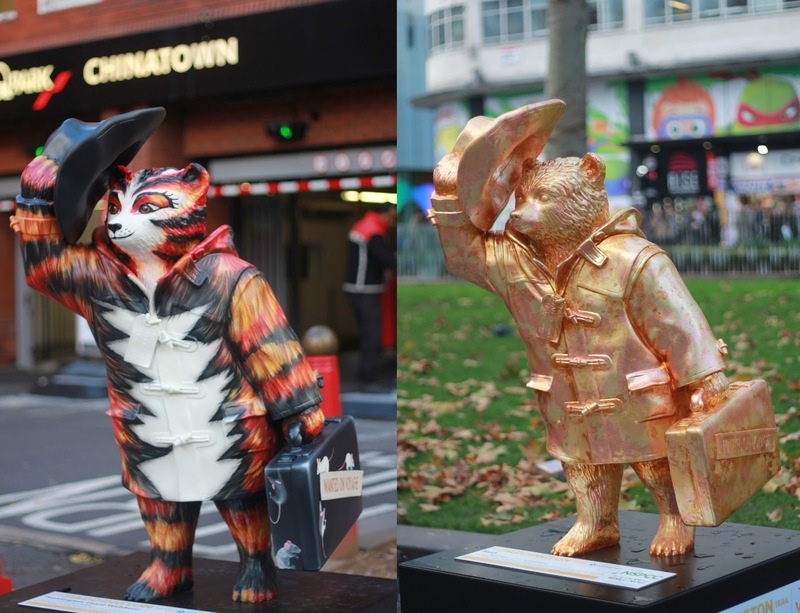 From there we made our way to China Town where stood composer Andrew Lloyd Webber's flamboyant design and onto Leicester Square where Nicole Kidman's creation blended in seamlessly with the golden autumn leaves. 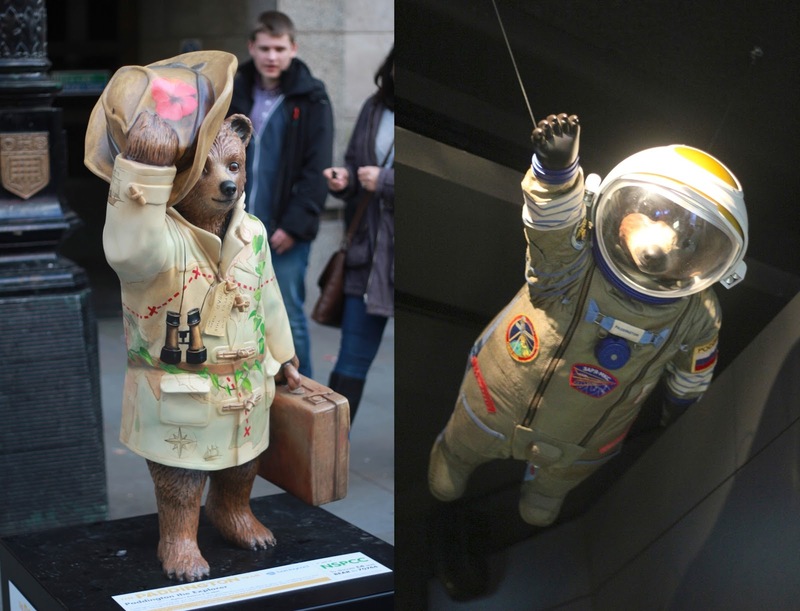 Walking straight through to Trafalgar Square, we found Boris Johnson's bear hidden to one side of the National Gallery. 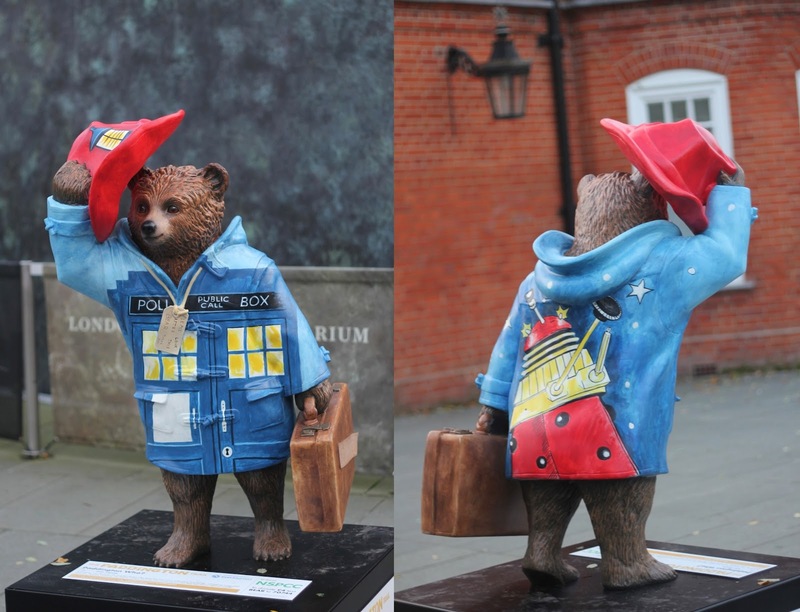 I do really love how his little suitcase is a double decker bus! 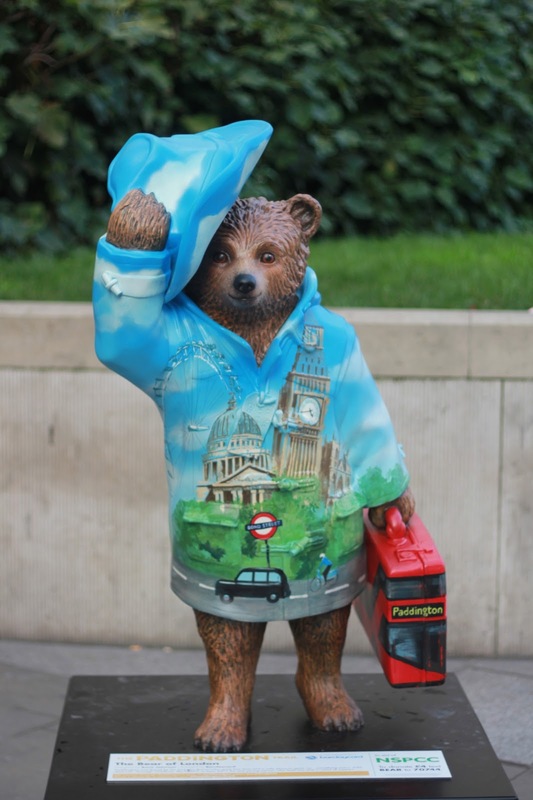 From there we decided to take the tube all the way to Greenwich as I really wanted to see Peter Capaldi's bear before the day was done. Conveniently (cough), the Doctor Who bear was situated right at the top of the huge hill where the GMT is originally located, which is pretty cool when associated with the time travel aspect but not so much when you have to hike all the way up it after an already long day of walking. On the way back from Greenwich it had already started to get dark (it was 4pm, dang it London winter) and by the time we reached the Southbank it was practically pitch black. Luckily the lights provided enough illumination that we were able to find the two bears there without too much trouble but after that we decided to call it a day. 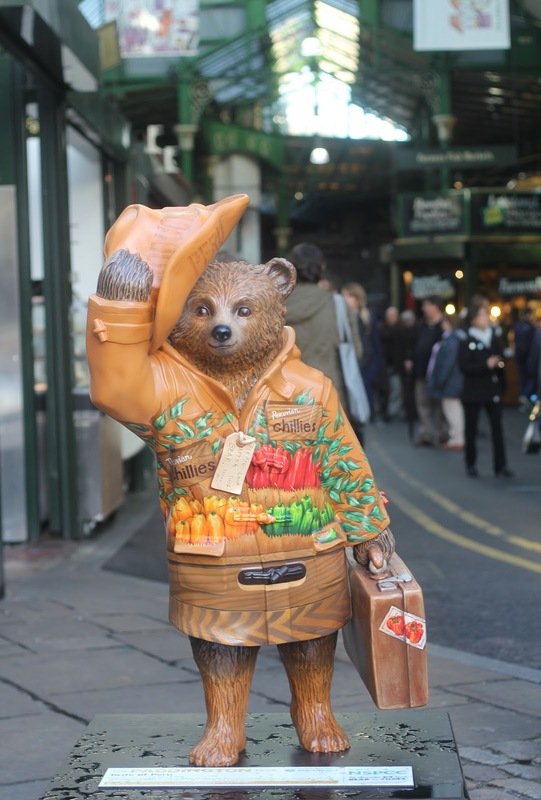 So in total we found nine Paddington Bears that first day, not a bad start but we thought we should probably figure out a more time effective route for our next day of hunting. 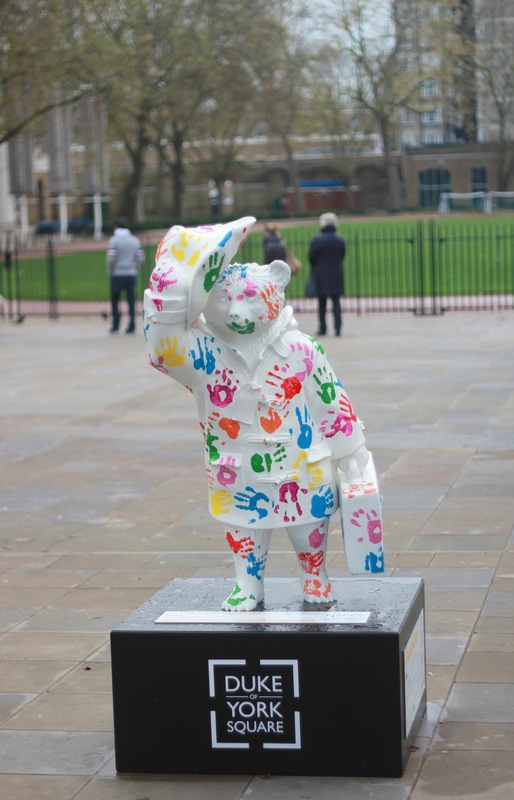 The next day we set off to the Museum of London to find Benedict Cumberbatch's Sherlock Bear and on the bus ride there I was pleased to spot Sally Hawkin's colourful creation. 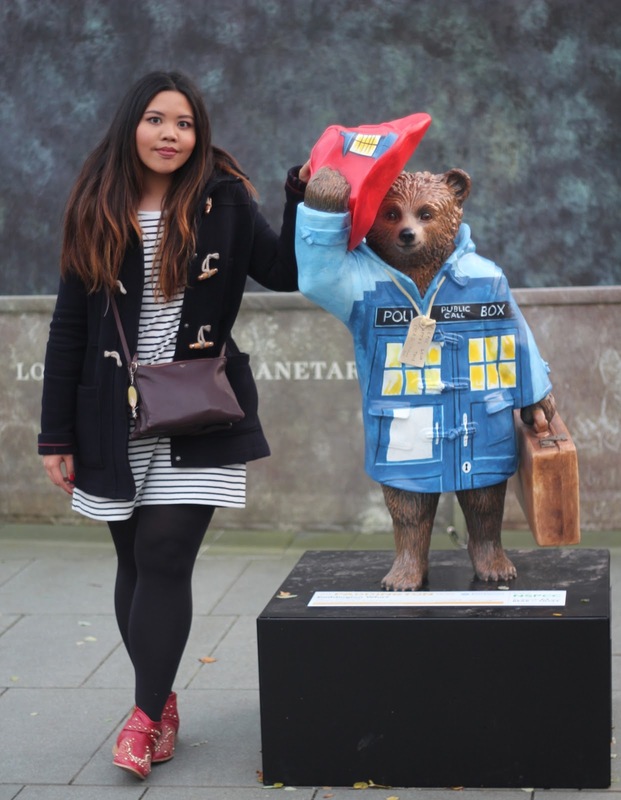 Around the museum area we found another two bears before we made our way to Knightsbridge for a sushi break and to visit Emma Watson's bear. 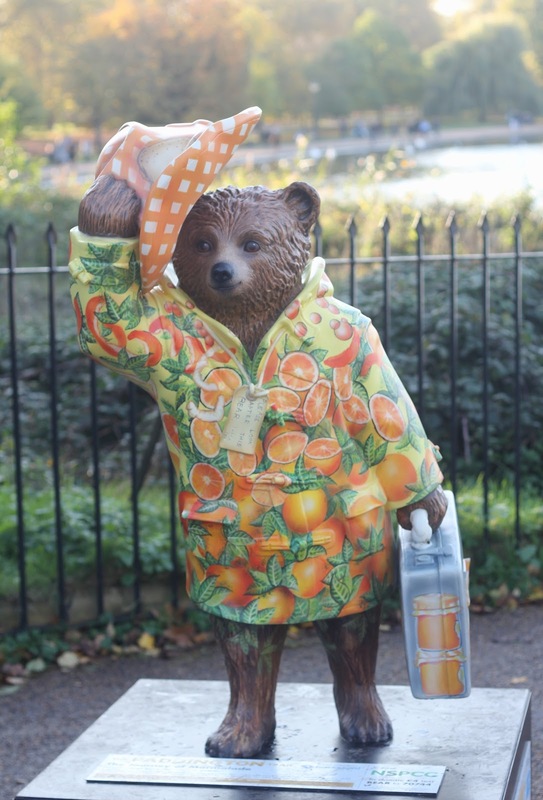 A walk to Hyde's Park saw Hugh Bonneville's marmalade design resting in a picturesque area along the Serpentine and we discovered another two bears on our journey to Paddington Station, where the original Paddington Bear by the creator of the Peruvian explorer himself, Michael Bond, very fittingly stands. After that we proceeded around the Canal Towpath where we spent a good chunk of time trying to figure out where the two bears that were meant to be around this area on the map were. 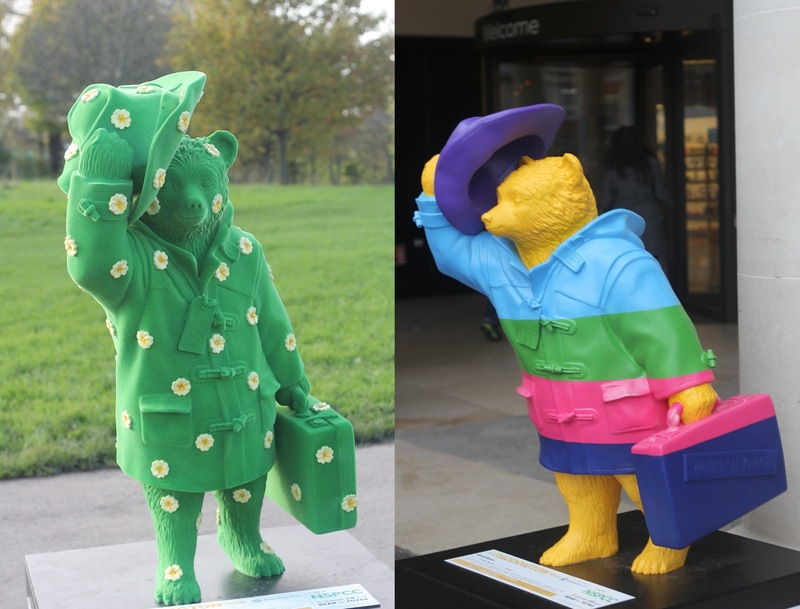 Unable to locate them, I took to the instagram hashtags to see if other people might have found them but this ended up confusing us even more as it turns out the two bears had been switched around before the map had been updated. After we sorted out that initial kerfuffle we found three more bears before the sun set, including a velvety textured blue bear (or the Mystique bear as my friend has nicknamed it) and Lulu Guiness' bear, complete with signature lips. 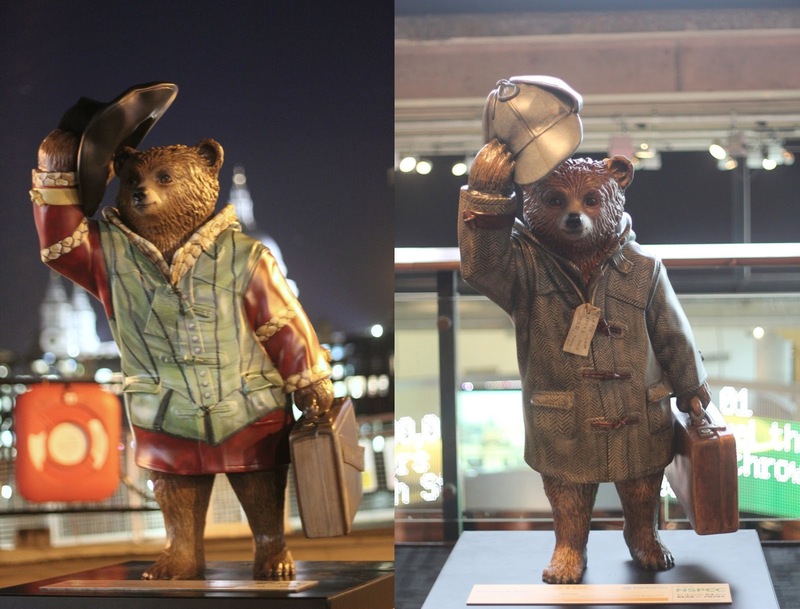 The route of my bus ride home took me past Guy Ritchie's bear too. 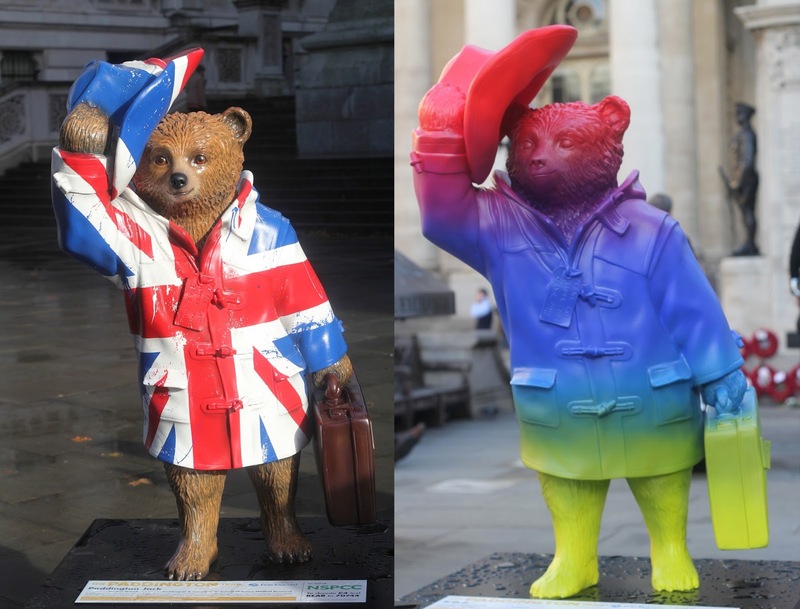 The next weekend I was surprised to hear that a couple of new bears had been added to the trail, one by graffiti artist Inkie and another by jeweller Solange Azagury-Partridge. 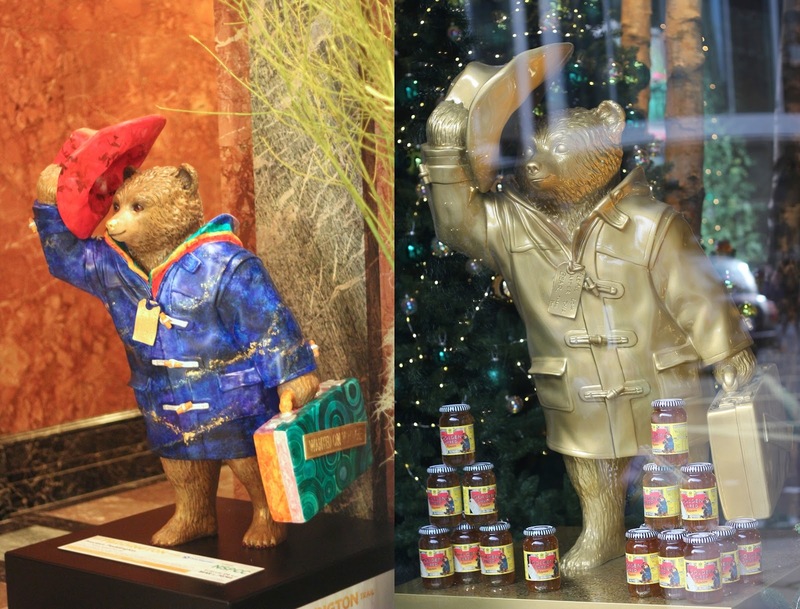 A trip to Selfridges on Oxford Street saw Kate Moss' golden bear on display amongst jars of Paddington's favourite marmalade. 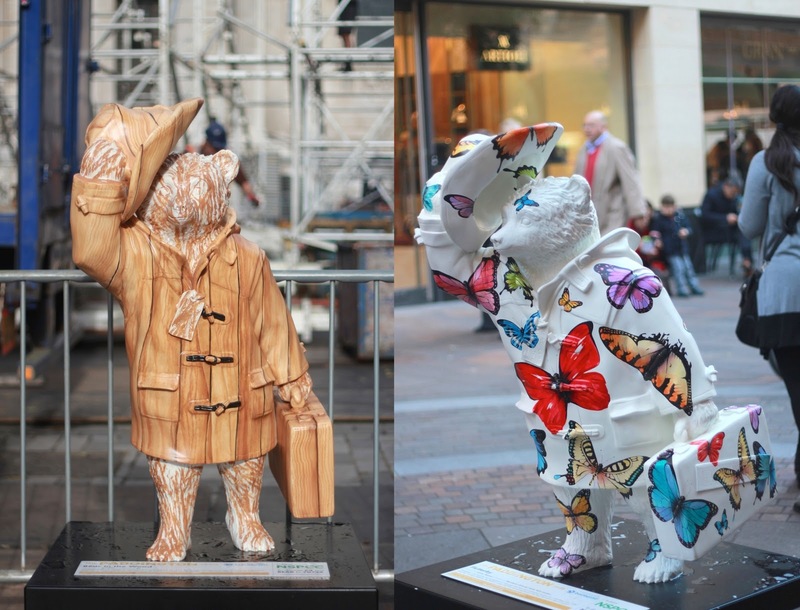 I only just realised after I left that there were two more bears located on different floors of the department store, d'oh! Also on Oxford street, The Saturdays member, Frankie Bridge's glittery design glistened in the morning sunlight. 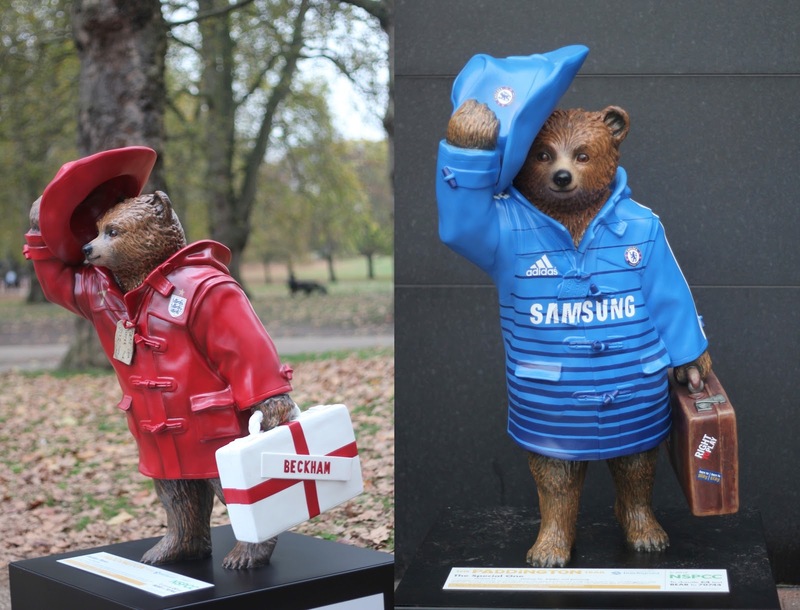 We ended the day by visiting two football inspired bears including David Beckham's. The next morning we looked around Strand for a couple of bears that were allegedly clustered in that area. After successfully locating them we travelled to Borough Markets where it was quite apt that a bear covered in chillies stood at the entrance as the mouth-watering scents of cooking food wafted past. 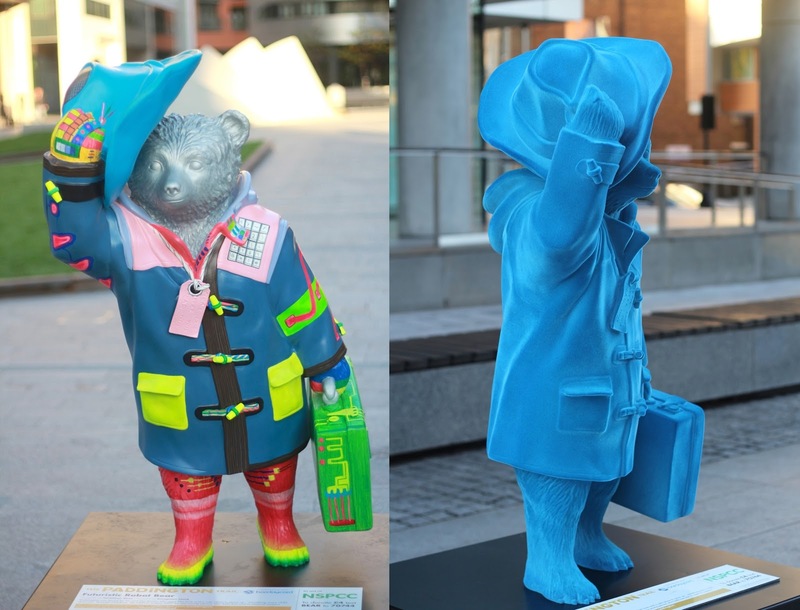 A very unique 'bear' in the shape of Paddington's famous duffle coat toggle was one that definitely made an impression on me and there were a couple that I spotted day to day when I didn't have my camera with me so I had to settle for iPhone snaps. 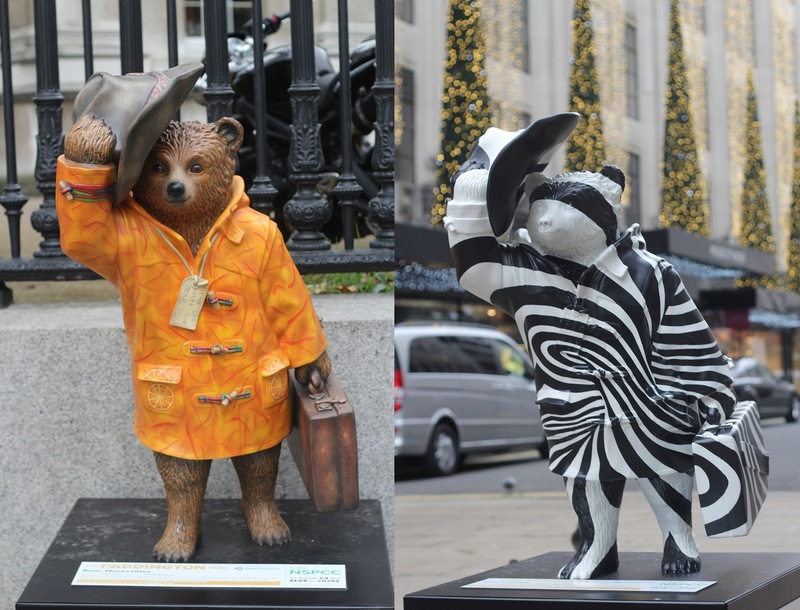 So far I have found 53 bears out of the current grand total of 57 (and counting), who know how many more bears will be added before the Trail closes on the 30th of December? 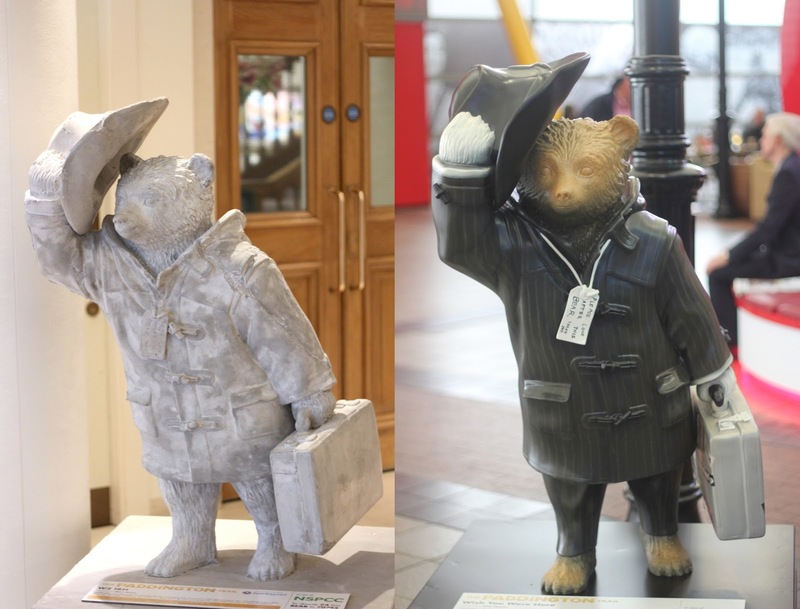 Apparently many more artists are keen to participate following the success of the Paddington film which I had the pleasure of watching too the other day. 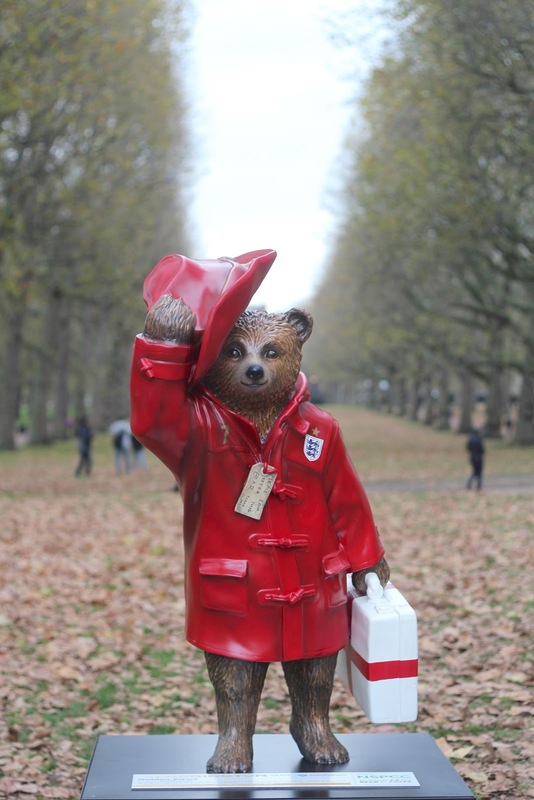 I thought I wasn't one for animated family genre films but I gladly take that back, Paddington moved me to tears and then had me in fits of laughter. All in all, a very heartwarming film that made me love the city I live in even more than I thought was possible by the time the credits rolled. 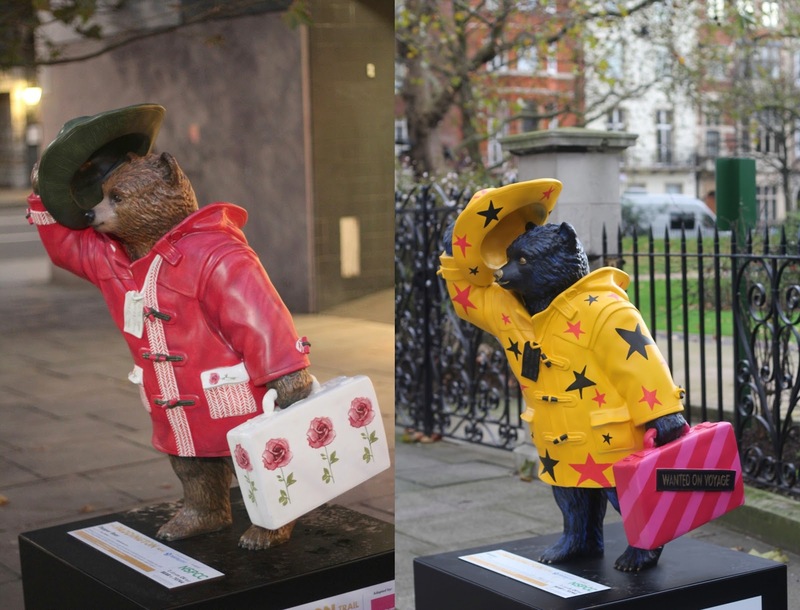 So which out of the bears I've seen on the Paddington Trail is my personal favourite? It would have to be Special Delivery, perhaps because my favourite actor designed it or because it was the one that started my journey. 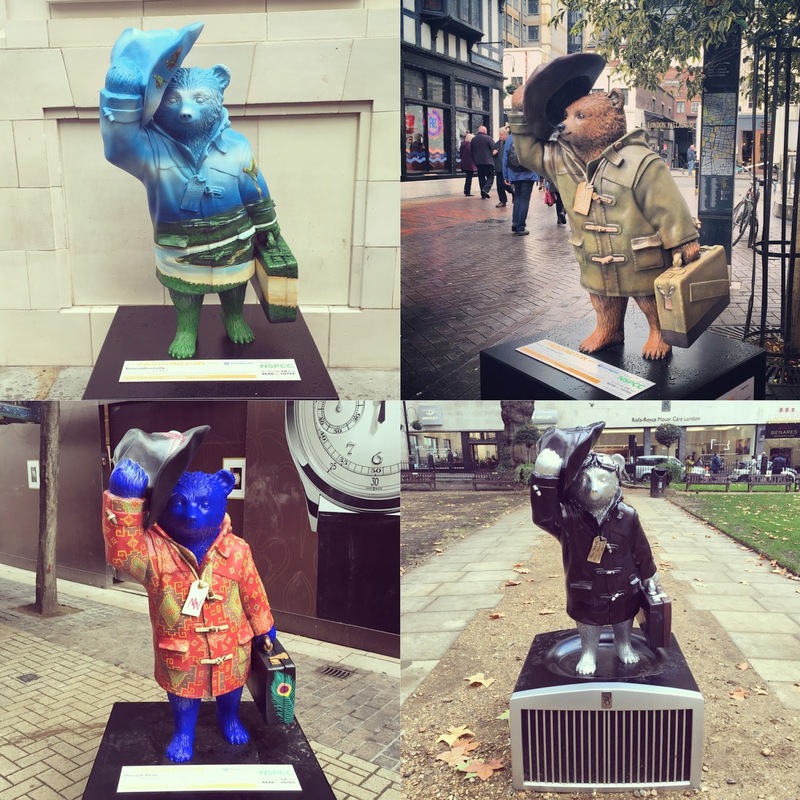 I've had so much fun conquering the Paddington Trail and am proud of how many bears I managed to find (though a lot of the spotting was done by my friend's keen as eagle eyes I admit). I would highly recommend anyone in or visiting London to give it a go, it's a great way to spend a day with family and friends and I feel like I know the nooks and crannies of this city a whole lot better now. 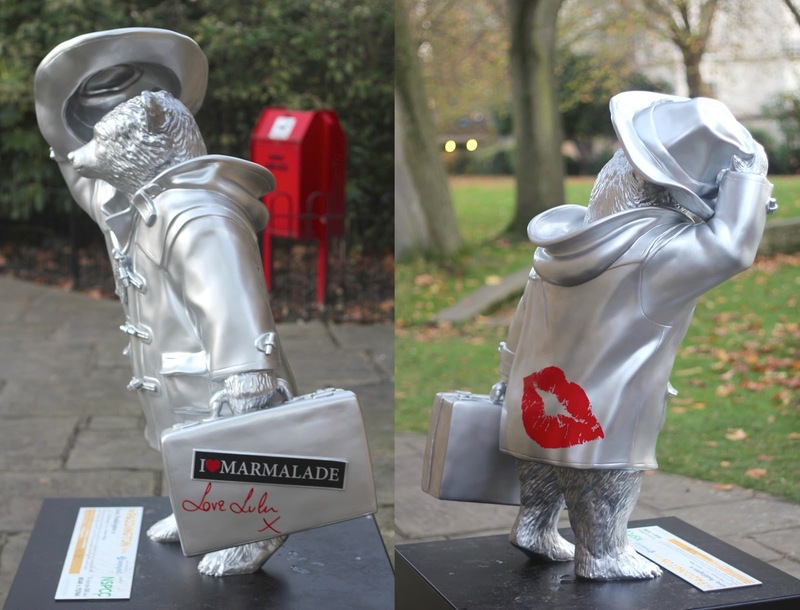 All details about the Paddington Trail can be found here. 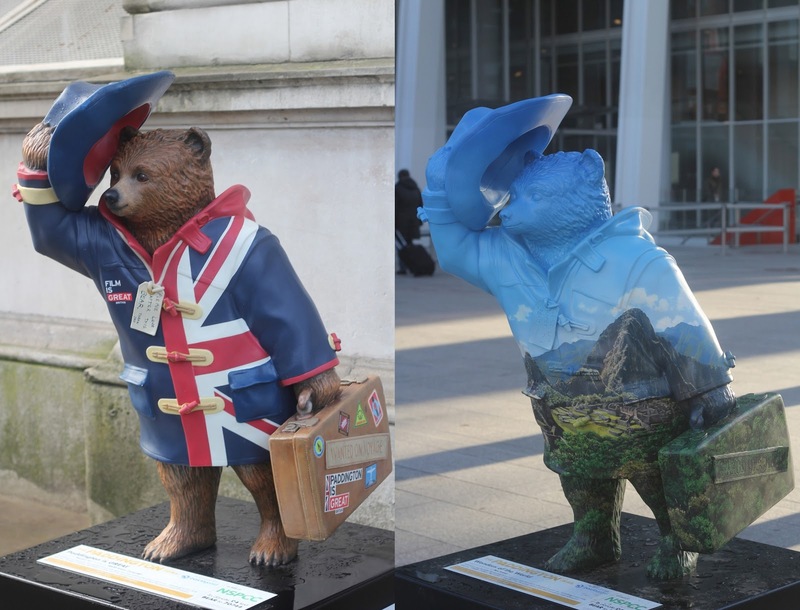 Which bear is your favourite? awh I love this! 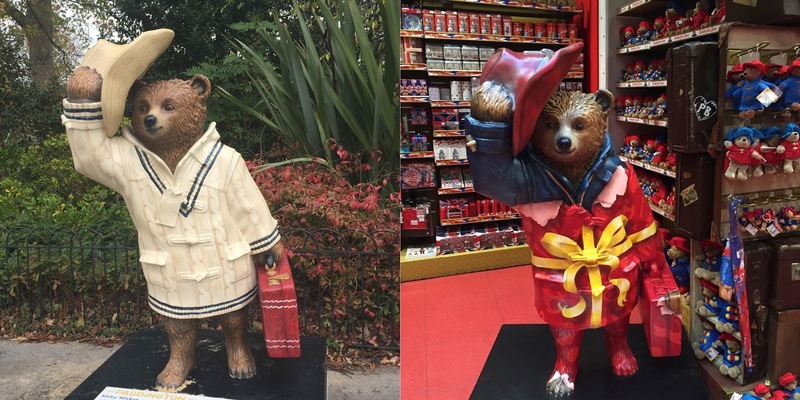 all of the bears are so cute! What a fun adventure! I love all your pics! Oh wow this is so cool! 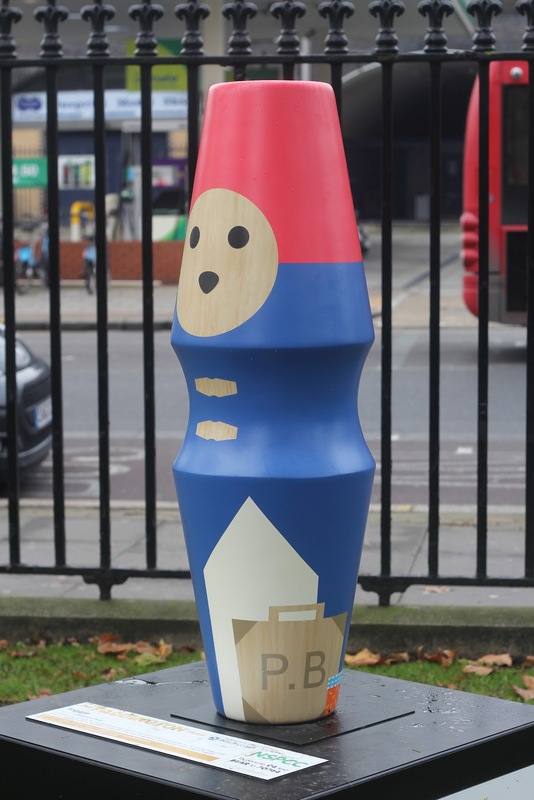 I would love to see this if I lived in London. Btw your hair is perfect! 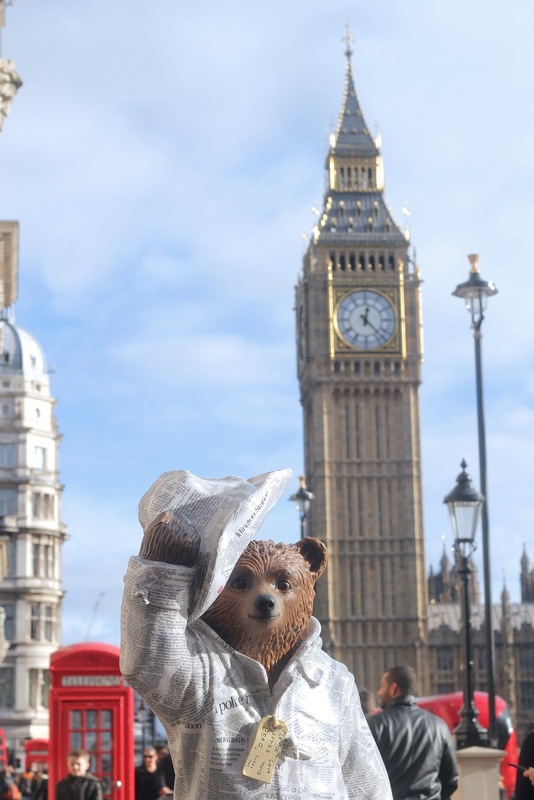 I loved seeing all the Bears on your Instagram, so cute! I love Andrew Lloyd Webber's as CATS was the first musical I fell in love with ha! Looks like you found quite a few then! This is sub a good idea - I want to do it when I'm back home for Christmas! Amazing pictures, took me back to my childhood haaaa!